An Orange County probate attorney can aid you and your family in the aftermath of your inability and upon your passing. Preparation, while you are fit, allows you to select suitable fiduciaries to manage your matters. Deprived of such a ground plan, the court will select a conservator if you are debilitated and will choose an administrator upon your demise. The court will also assign custodians for your minor children. Planning now, will allow you to make these choices yourself as an alternative of leaving it up to a court. In addition, you select your recipients instead of having the state choose them for you and you will design the method and scheduling of allocations to those recipients and you can prevent probate and lessen taxes. Consequently estate planning has continuing advantages for both you and your loved ones. Probate is the procedure that transfers legal title of property from the estate of the person who has died to the proper beneficiaries. It is referring to “proving" of the existence of a legally binding Will, or determining and "showing" who the legal heirs are if there is no Will. 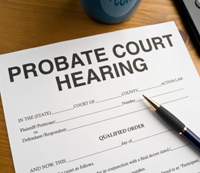 Probate is the process used to decide who gets the property. The key purpose of probate is reassigning title of the decedent’s property to the proper beneficiaries. Probate only occurs when there is property that needs transferring, otherwise, probate is not necessary . This process also provides a means for payment of unresolved debts and taxes of the estate. Hence, there by distribution of the remainder of the estate's property to ones' rightful heirs. 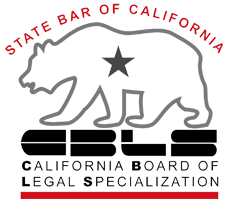 The Orange County probate attorney offers a free consultation at 714-971-8000.